Got a bonsai from a friend who got it from a friend. I'm a novice gardener. Any idea what kind of tree is this? Last edited by Hadeel on Wed Apr 07, 2010 8:35 pm, edited 2 times in total. Last edited by Marsman on Tue Apr 13, 2010 3:34 am, edited 1 time in total. I'm inclined to say it's a Chinese Sweet Plum that has been kept in poor light due to the size of the leaves. the Bark definitely looks like sweet plum bark though. Chinese Sweet Plum has serrated leaves, this one has leaves with smooth margin. Not a Chinese Elm either. The leaves on this tree are opposite not alternate. Bonsai Nutcase wrote: Suriname cherry? Angela, you win the Jack Pot . I found out today that my bonsai is a Suriname cherry - Eugenia uniflora. I posted the photos with different forums. You were the only one who got it right. - (I shake your hand). After your guess, I researched and there it was. You should be proud, you just saved a tree. Appreciate your help. I'm glad I could be of service! Very nice trunk, BTW. oh greaaaaat.... now I have to go tell my hubby he was right. He said Surinam the first day when I showed it to him, and I said..... naaaaaahhhhhhhhhhh.... that's not a surinam. Bonsai Nutcase wrote: Very nice trunk, BTW. Yes, I thought so too when I first got it, which made me fall in love with it. 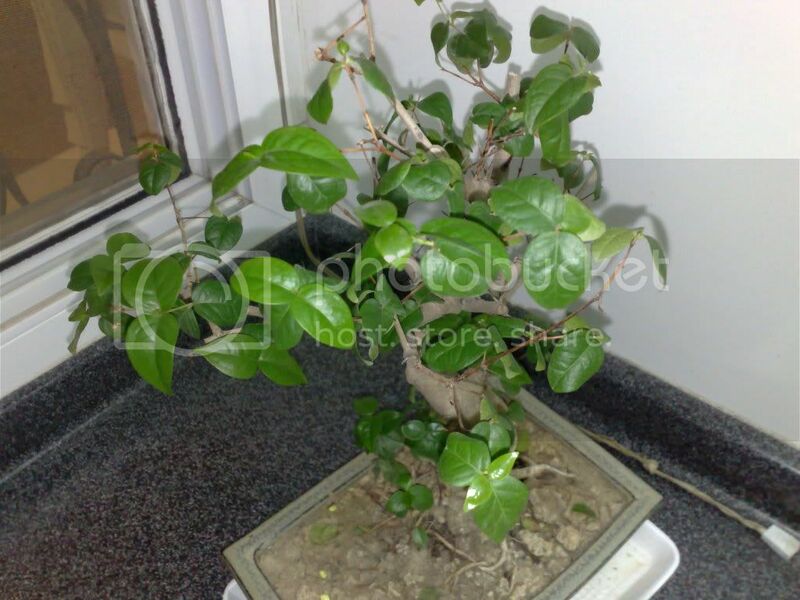 I've never ever did any gardening, and when I start, I start with a bonsai. I need to learn about how to deal with a bonsai, what do you think of these 2 books? Bonsai Techniques I & II by John Naka? I, at the moment, just water it, I'm scared to do anything wrong and end up losing it. I think I should change its sand and use spaghnum moss instead. What do you think? Last edited by Hadeel on Fri Apr 16, 2010 6:05 pm, edited 2 times in total. Victrinia if it makes you feel better, my hubby is 97.8% of the time right. Those 2 books are the "Bibles" of the bonsai world. John Naka was one of the very best bonsai artists in the world. If you get the chance, get them both. I would not repot it in spaghnum moss, that will rot the roots. 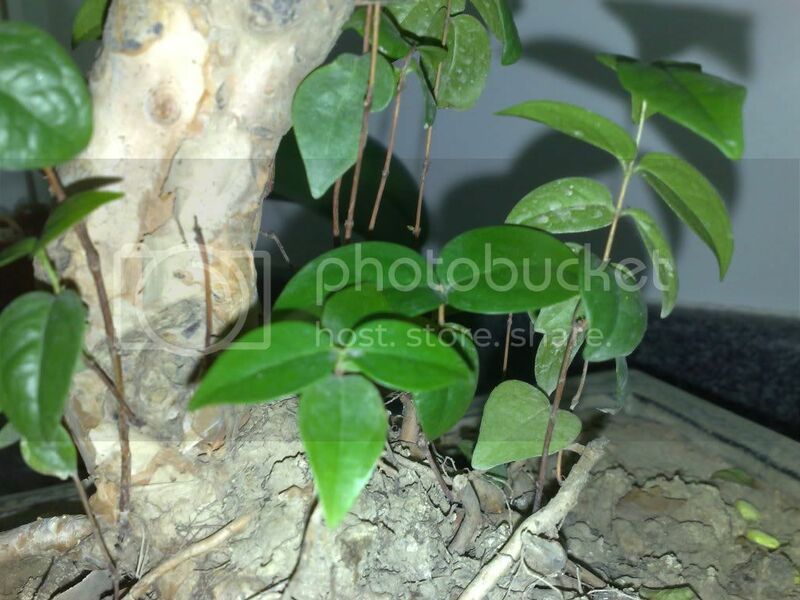 There is a special soil you need to use for bonsai to keep those roots healthy. I know some people have good results with sand but I have no experience with using it by itself. All mine are in a bonsai soil mix. 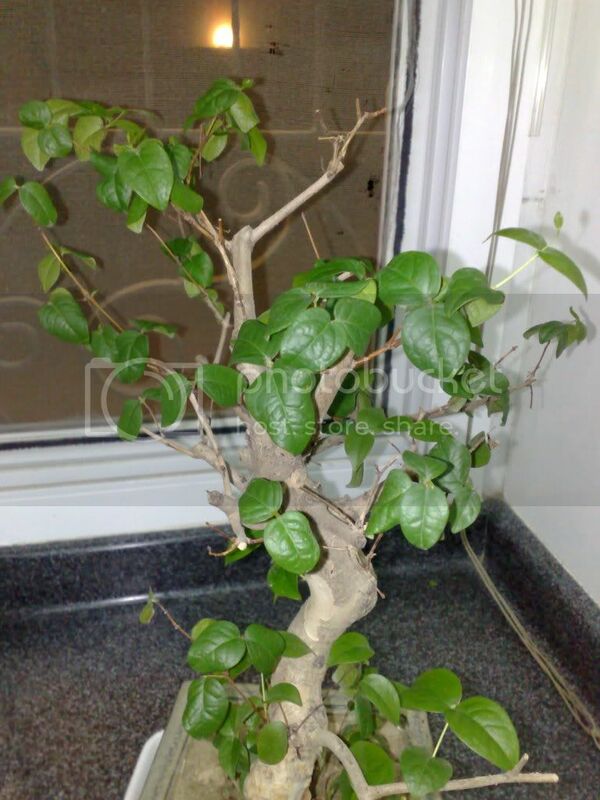 Since you are a beginner I would recommend that you take this tree to a bonsai society meeting or a bonsai nursery so they can show you how to repot and they will give you some tips on pruning. I learned so much from attending bonsai society meetings, do you have any in your area? Victrinia Ridgeway wrote: oh greaaaaat.... now I have to go tell my hubby he was right. He said Surinam the first day when I showed it to him, and I said..... naaaaaahhhhhhhhhhh.... that's not a surinam. Me, too! I try not to let him know when I'm wrong! While the volumes by Naka are indeed held in great esteem in the bonsai world I am not sure they would be the best choice for you right now. I have not yet acquired these books so perhaps I am speaking out of turn here but it is my understanding that they focus more on styling than on the basic care information that would benefit a beginner. Also, these books are not exactly current and some thinking has changed greatly in the decades since they were published. Here is a thread that offers other choices, many of which, I feel, would be more appropriate for a beginner. Bonsai Nutcase wrote: I learned so much from attending bonsai society meetings, do you have any in your area? Angela, I will have to look into any societies, but I doubt that. There is a gardening club, I will check there. Gnome wrote: Here is a thread that offers other choices, many of which, I feel, would be more appropriate for a beginner. Norm thanks for the thread. An extensive enormous list of books. Out of all of those, what would you choose (two or three books) for beginners? Can Anyone tell me what kind of tree this is? want kind of tree do i have?